Gatlinburg, Tennessee has been through some rough times recently. Wildfires that spread from the Great Smokey Mountains National Park in late November, destroyed over 1,600 structures and took the lives of fourteen people. However, the community is resilient and working towards recovery. 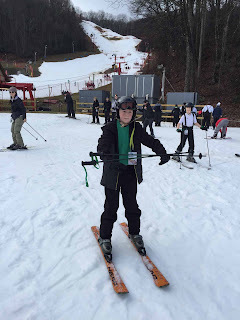 As Troop 50 made our annual skiing trip to Gatlinburg last weekend, we reflected on what had happened there and knew that our presence was helping to sustain the area economy. While there were obviously fewer visitors in town over this holiday weekend, plenty of people were there to enjoy all that the town had to offer. The troop poses for our annual photo op in front of the Ober Gatlinburg sign. 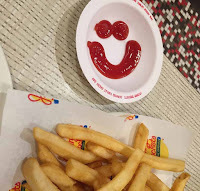 As we have in the past, the trip began with a Friday evening departure from Auburn and a stop at the Cartersville, Georgia Wendy's for dinner. The drive stretched into early Saturday morning as we arrived in Gatlinburg around 1:00 AM. Over the past few years, we have availed ourselves of the hospitality of the Days Inn. This year we decided to seek lodging in a more high-end establishment, so we upgraded to the Econo Lodge. This turned out to be a good decision overall. The hotel had everything ready for us and we quickly had the scouts headed to their rooms for a good rest. the gallery looks less than impressed. The next morning we were up and out on the town before 9:00 AM. We wandered the streets, browsing in the occasional store (including a knife and sword shop) before settling in for a round of miniature golf at the Treasure Quest course. Although the boys tend towards competitiveness, I didn't hear much boasting about how far under par they were. The next stop was in an arcade, where they played among the seizure inducing lights until lunch. Hunter's Pac Man gobbles away as Boone and Beck observe. Followed the complete consumption of several extra-large pizzas, it was off to the aerial tramway for the ride up to Ober Gatlinburg. Despite temperatures in the high 60s, there was snow on the ground - although all of it was of the manmade variety. It was warm enough that a couple of skiers were spotted on the slopes without shirts. Fortunately for us, the warm weather did not diminish the snow tubing and the scouts made numerous rounds up the magic carpet lift and down the slopes in their inner tubes. Zach and Everett move off the course at the conclusion of a successful run. By Saturday evening, everyone was ready for a good dinner and a full night's rest. Our regular dinner stop in the past has been Blaine's but this year they refused to offer us any accommodation as a large group. Due to the NFL playoff games, the restaurant claimed that diners were not vacating their tables very quickly. As a result, we passed them by and found the staff of Johnny Rockets more than willing to provide a table for twenty-two. Our servers were very attentive with numerous refills of drinks and their unlimited french fries. At the conclusion of our meal, the servers thanked us for making the trip to Gatlinburg and supporting their economy. We ended the day with a stop at another arcade for the chance for visual stimulation and the intake of sugar by several scouts. Fortunately, this did not spark the bout of hyperactivity that we initially feared and the boys settled in for the night without much issue. Beck does his level best in ski school. Sunday dawned with a hint of rain and a continuation of the warm weather. We didn't let that dim our enthusiasm for the ski slopes and quickly headed upward aboard the tram. Due to the diminished crowds, our check-in at Ober Gatlinburg went as smoothly as it could for an organization that seems determined to avoid the advent of computer systems. The majority of the scouts had skied in the past and they quickly moved out onto the slopes. The scoutmaster oversaw the two scouts who attended ski school along with one of the young assistant scoutmasters who oversaw the young woman who accompanied him. The day was spent happily rotating up the chair lifts and down the slopes. 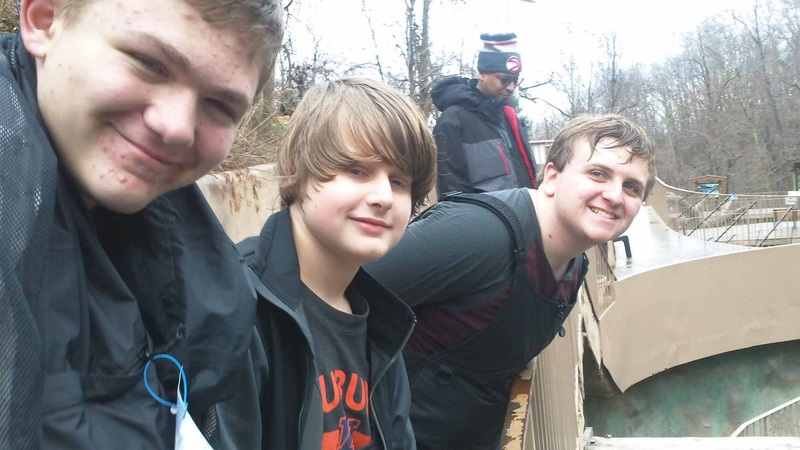 Scouts also took time to go ice skating, visit the wildlife exhibit, ride the scenic chair lift, or hang out in the shops and arcade of Ober. Mr. Dagg continued his work with several scouts who were working on the Snow Sports merit badge. Most of them were able to accomplish the various skills they needed to demonstrate to meet the requirements. Assistant Scoutmaster Baird (the younger) utilized his GoPro to capture video of several scouts on the slopes. The video is available on our YouTube channel at https://www.youtube.com/watch?v=jGT_s_6kwyQ. Watch carefully for the scout who flies by at top speed! Liam, Everett, and Michael enjoy the wildlife exhibit during a break from skiing. After a full day of skiing, we gathered for the buffet at the Seasons of Ober restaurant. Although a few scouts chose to end their day at that point and return to the motel, the majority returned to the slopes and stayed until they shut down at 10:00 PM. Josh, Hunter, and Davis ready to ski beneath the stars. The next morning we made our annual pilgrimage to the Flapjack Pancake Cabin for a hearty breakfast. After filling up on pancakes we made our way out of town and began the long trip home. Plans were made to stop at a trampoline park in Chattanooga but when we arrived, the combination of a crowded facility and a rather strict waiver policy kept us from fulfilling a desire to bounce up and down. Even finding a place to eat lunch proved to be challenging and we had to trek into Georgia in order to find sustenance at a CiCi's Pizza. After braving the traffic around Atlanta, everyone was back in Auburn before 5:00 PM. Although fire damage was evident in the hills around Gatlinburg and Pigeon Forge, the town and it's residents were just as inviting as always. We are glad that the community and the ski resort have survived intact. We mourn the lives that were lost in this rather senseless tragedy and our prayers are with the families and friends that remain. However, we know that a new day has dawned and that all are on the way to recovery. We look forward to visiting this wonderful place for many years to come. More photos are found in the online photo gallery.